Topic A: Netanyahu to speak to Congress at 9:45 a.m.
Not all eyes, but a lot of them, will be on the the Speaker’s Rostrum in the U.S. House of Representatives this morning as Israeli Prime Minister Benjamin Netanyahu will speak before a joint session of Congress. The speech will begin at 9:45 a.m. Iowa time and will be broadcast on C-SPAN (The Iowa Statesman will post a link later this morning). The subject of the speech — which may go down in history as “The Beat Down in the Beltway” — is likely to focus on a proposed, and as of yet mostly secret, nuclear deal between Israel’s biggest ally (the United States) and its biggest enemy (Iran). Yesterday, Netanyahu and President Obama squared off via the media on that very subject. Neither of them conceded any ground in the debate. 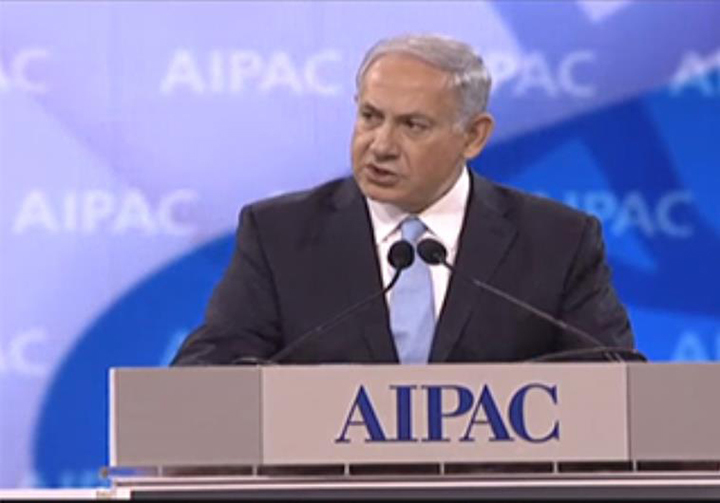 Netanyahu, speaking to the American-Israel Public Affairs Committee in Washington, warned that the nuclear deal being negotiated by the Obama Administration with Tehran threatens his nation’s survival. He said he meant no disrespect to the president, and that he appreciated U.S. military and diplomatic support, but noted he has a “moral obligation” to warn the world about the proposed agreement’s dangers. Obama, a few hours later, turned to Reuters to conduct an interview meant to preemptively take the bite out of the prime minister’s speech to Congress. He said Iran should commit to a verifiable freeze of at least 10 years as part of the nuclear deal, although the freeze would only apply to its “most sensitive nuclear activity.” He also lowered expectations for any agreement, pointing to the end-of-Marsh deadline for a framework for the deal. After hearing about Obama’s speech, the Iranians, of course, were less than enthusiastic. Netanyahu will speak at the invitation of Speaker of the House John Boehner (R-OH), who has his own battle brewing with the president. Obama called the move “unprecedented” and said congressional Republicans were meddling in the affairs of the Executive Branch. However, today’s speech will not be the first by a foreign dignitary before Congress, although it will be the first by a current head-of-state. Likely at the president’s urging, the Congressional Black Caucus plans to make a fool of itself today. According to Star Parker, the “Hands Up, Don’t Shoot” crowd still plans to go forward with its plan to protest the speech. Her Center for Urban Renewal and Education and a group of Black pastors will speak this morning at the National Press Club in support of Netanyahu’s speech and Israel. So, pop some popcorn and have your beverage of choice handy … this is going to be a wild ride.